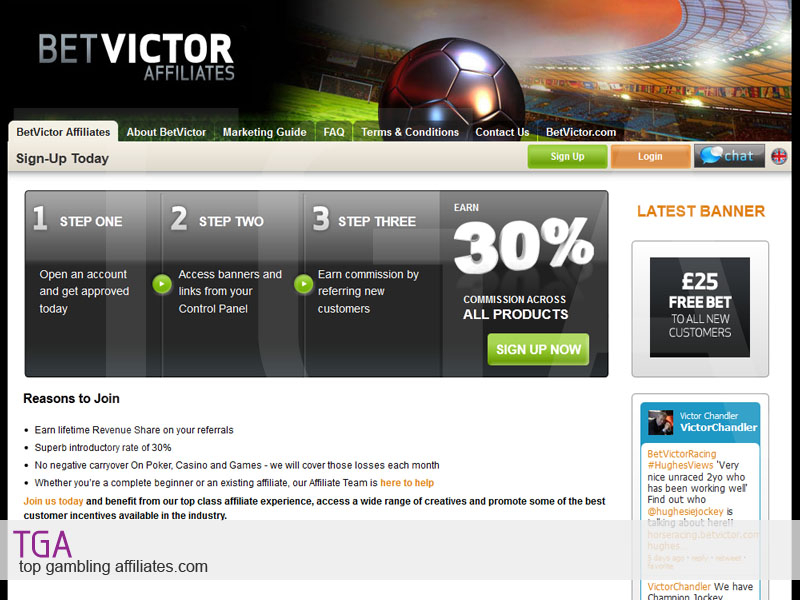 The BetVictor affiliate program is one of the most sophisticated programs to be involved in as an affiliate. Being one of the most influential names in the online betting industry, they are specialists in casino games, poker and of course online betting. This brings a wide array of niches to tap in to an earn a very generous 30% revenue share commission across all brands for your referrals. BetVictor is known for having an average player retention rate across all ages and types of player, and advertises heavily both online and offline. Therefore, giving you the chance to promote a well established brand and earn some serious commission. Although they do not offer CPA commission; they do offer fantastic support should you need to contact them and with a lifetime guarantee on rev share, you have the chance to earn a percentage of your referrals deposits for as long as they are active whether it be years or decades. 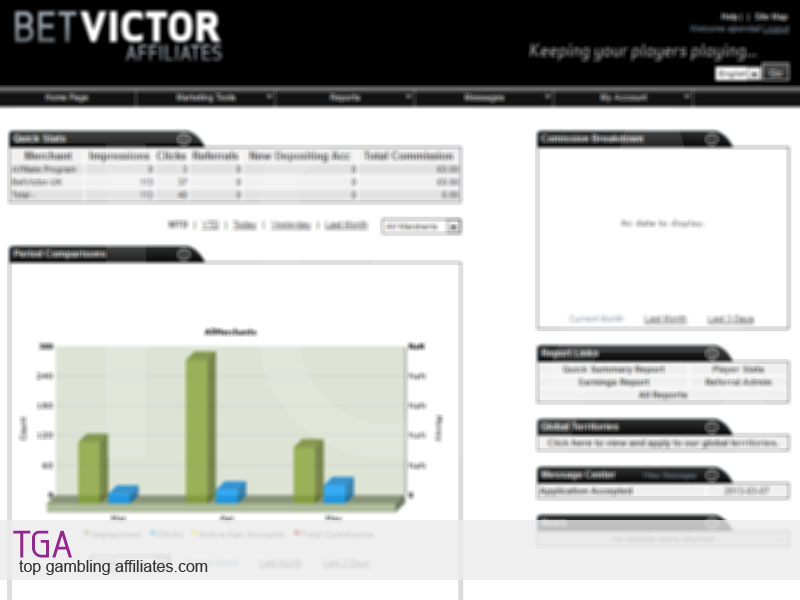 In addition, the BetVictor affiliate program offers affiliates fast payments, a wide range of marketing materials for all brands and a no-negative carry-over policy month-by-month, ensuring you are in with a chance to earn fresh commission each calendar month. This entry was posted on Tuesday, May 14th, 2013 at 2:53 pm	and is filed under Affiliate Programs, Betting, Casino, Poker. You can follow any responses to this entry through the RSS 2.0 feed. Both comments and pings are currently closed.